Meijer 2 day sale starting Friday 8/14! Don't forget to clip your mPerks coupon's ready for this 2 day sale! 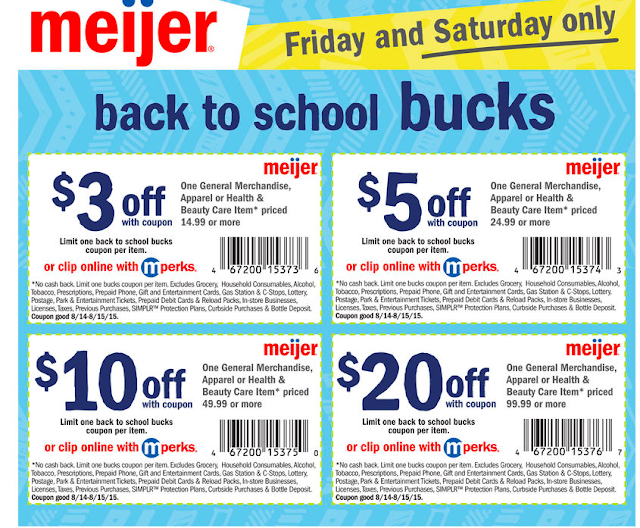 Note: You can apply one school bucks coupon to the price of the first item you are buying! Armour Cooked Deli Ham or Novara Hard Salami - $2.99 lb. Final Price: As low as $0.10 each wyb 2 priced at $3.19! Final Price: $11.99 for both, that's $6 each wyb 2! Limit one offer per transaction.